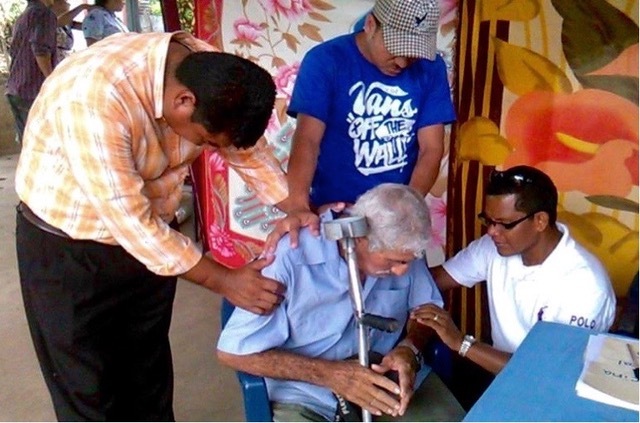 Transforming Nicaragua with Christian Community Development by empowering local leaders through the New Covenant of Jesus Christ. We plant churches and empower local leadership to impact our communities through education, recreation, health & wellness, and mission teams. These ministries create opportunities to share the love of Christ and make disciples. Our vision is to equip the disciples to create ongoing, sustainable ministries. New Song is a New Covenant ministry and community of churches based in Nicaragua that are enjoying the relationship we have with Jesus Christ. God has made a New Covenant with all humanity, distinct and different than the Old Covenant. God now offers us the gift of grace in how He saves us and transforms our lives. We no longer have to strive and earn our way into God’s presence, but we can enjoy our relationship with God because of our faith not our performance. Because of our faith, the Holy Spirit lives in us and is transforming our lives more and more to be like Jesus. Our churches are communities where everyday we are learning to love each other as He loves us. 9 God showed how much he loved us by sending his one and only Son into the world so that we might have eternal life through him. 10 This is real love—not that we loved God, but that he loved us and sent his Son as a sacrifice to take away our sins. 11 Dear friends, since God loved us that much, we surely ought to love each other. A promise from one person to another. A bonding agreement between two people that can’t be broken. The New Covenant is the embodiment of Jesus Christ. While Jesus was fully man on Earth he was guiding us out of the Old Covenant and into the New. He was the Word of God and the heart of God fully revealed. His nature was made flesh for us to see and know true love. Through Jesus Christ we are allowed to have a personal relationship with the Father and be his full human partner. From what we could not do, the New Covenant now offers us the gift of grace. We now look at ourselves the way He sees us – holy- in his sight. We no longer have to strive, and we can’t earn our way into God’s presence. Our only task is to rest in his mercy. The New Covenant is the new relationship we can have with God, from love, peace, faith, grace and security rather than works of the Old Covenant by which we are transformed into his likeness. Jesus carried the burden we were meant to carry. Now with his Holy Spirit living within and molding us into the image of Christ, we now rest with a yoke that is easy and free and a burden that is light. He desires to transform our lives, by His power, not our human effort. The Old Covenant was about abstinence while the New Covenant is about overflowing LIFE! The New Covenant is meant to be completely new – the opposite of old – though many Christians are still living in a new, old covenant. The Old Covenant obeyed rules and regulations in order for God to be pleased with us. Israel failed to live up to this covenant they had made with God. They didn’t have the Holy Spirit guiding them. It wasn’t the laws of God; it was the failure of human nature. Without freedom and grace from Christ, we could never overcome weakness of our flesh. The grace of the New Covenant is POWER to enable us to live out each of our destinies for the Honor of God as we get to Know Him and enjoy Him. God has always loved us fully and completely. His nature has not changed. He had to give the Old Covenant to make us conscious of our true condition, allowing us to see our human nature so we can value the treasure of eternal life that was to come. In God’s new promise to his beloved, we are invited to live fully free and alive with him! 17 asking God, the glorious father of our Lord Jesus Christ, to give you spiritual wisdom and insight so that you might grow in your knowledge of God. 22 For wives, this means submit to your husbands as to the Lord. 23 For a husband is the head of his wife as Christ is the head of the church. He is the Savior of his body, the church. 24 As the church submits to Christ, so you wives should submit to your husbands in everything. 25 For husbands, this means love your wives, just as Christ loved the church. He gave up his life for her 26 to make her holy and clean, washed by the cleansing of God’s word. 27 He did this to present her to himself as a glorious church without a spot or wrinkle or any other blemish. Instead, she will be holy and without fault. 28 In the same way, husbands ought to love their wives as they love their own bodies. For a man who loves his wife actually shows love for himself. 29 No one hates his own body but feeds and cares for it, just as Christ cares for the church. 30 And we are members of his body. 31 As the Scriptures say, “A man leaves his father and mother and is joined to his wife, and the two are united into one.” 32 This is a great mystery, but it is an illustration of the way Christ and the church are one. 33 So again I say, each man must love his wife as he loves himself, and the wife must respect her husband.